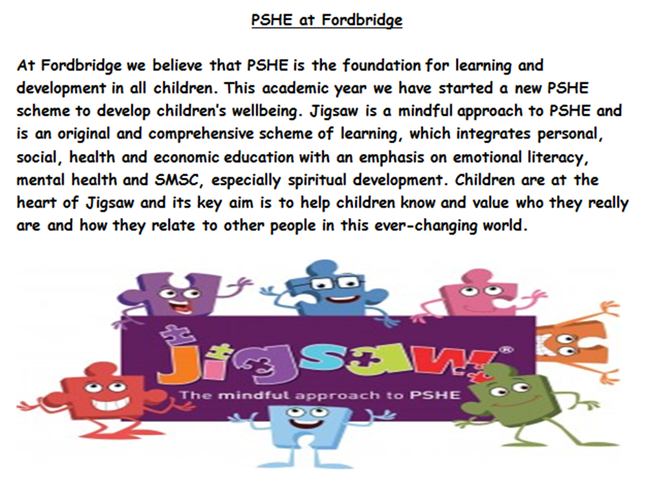 WELCOME TO FORDBRIDGE PRIMARY SCHOOL - THE LAST DAY OF THIS TERM IS ON FRIDAY 12TH APRIL AND ALL PUPILS RETURN TO SCHOOL ON MONDAY 29TH APRIL. Our page will be updated with all the exciting things we have going on and any important messages. The staff in Year 2 are. If you have any questions please don't hesitate to speak to us. We will be happy to help. PLEASE ENSURE YOUR CHILD HAS A SUITABLE WATER BOTTLE CONTAINING WATER IN SCHOOL EVERY DAY. CHILDREN WILL BE ABLE TO REFILL THEIR BOTTLES FROM OUR WATER FOUNTAINS AROUND SCHOOL. CHILDREN WILL EARN A DOJO EVERY TIME THEY READ. WHEN YOUR CHILD HAS READ 25 BOOKS THEY WILL RECEIVE A BRONZE CERTIFICATE. WHEN YOUR CHILD HAS READ 50 BOOKS THEY WILL RECEIVE A SILVER .CERTIFICATE. WHEN YOUR CHILD HAS READ 100 BOOKS THEY WILL RECEIVE A GOLD CERTIFICATE. PLUS A GIFT FROM SCHOOL. CHILDREN HAVE A TABLE IN FRONT OF THERE HOMEWORK BOOKS. THEY CAN TICK OR HIGHLIGHT THE ACTIVITY THEY HAVE COMPLETED AND WHERE POSSIBLE RECORD EVIDENCE IN THEIR HOMEWORK BOOKS. CHILDREN CAN EARN DIFFERENT AMOUNTS OF DOJOS FOR WORK COMPLETED. 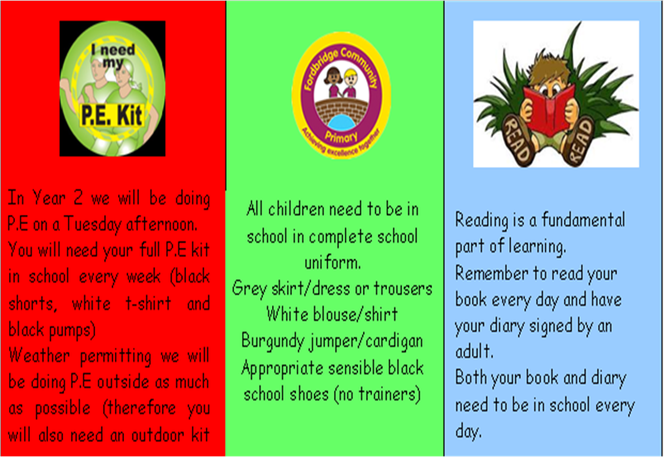 HOMEWORK BOOKS WILL BE GIVEN OUT ON FRIDAYS AND THEY WILL BE COLLECTED IN ON WEDNESDAYS. IMPORTANT DATES FOR YOUR DIARY. The Number Gators are hungry! This twangy, toe-tapping math song for kids helps explain the concept of the greater than and less than symbols when comparing numbers. To find more songs, games, and stories, check out Brainzy games: http://www.brainzy.com There was an alligator in the swamp, Who'd sneak up on numbers and start to chomp, Whenever two numbers sat on the ground, She'd face the bigger one, and gobble it down! Mr. DeMaio and friends cover Uptown Funk by Mark Ronson and Bruno Mars in this fun multiplication video that can be used to help you memorize your three times table! Have fun learning the 3's while singing along to your favorite song! Music Composed by Mike DeMaio, Aaron Santoro, Mike Vadas, Corey Markowitz, and Karyn Sochacki.